I had the extreme privilege of supervising the sound design for Code Name: Geronimo, one of two films being produced this year about the Navy Seal team that infiltrated the Bin Laden compound. I'm not at liberty to say much about this project at this point, but our entire team really went to town on it. Our director, John Stockwell, was great to work with and we wish him lots of luck with the film! Horror film based on Scottish folktale, Sawney: Flesh of Man follows the terrifying adventures of a psychopathic family of serial killers who make their home in the Scottish highlands. Lots of gore, guts, blood, madness and mood in this one. The entire Monkeyland sound effects team had a great time working on this one (despite the nightmares and cold sweats). Writers is a tale of love, forgiveness, family and writing! A great cast and a strong script make this project one to watch out for later this year. Most importantly though, Jennifer Connelly is in it! I loved working on Coffee Town, not just because I'm a coffee junkie, but because it's got everything a good comedy calls for: An amazingly funny cast, snappy and irreverent dialogue, political incorrectness, and a flashback to one of my favorite childhood films from 1986 (BMX classic, "Rad"). I could not stop laughing during our initial spotting session with director Brad Copeland. Keep an eye out for this film! My friends from Audio Circus/WB offered me a job cutting sound effects, building crowd sequences and designing doggie vocals for the feel-good family film, 12 Dogs of Christmas: Great Puppy Rescue. Big thanks to Josh and Carlos for this great opportunity! I look forward to more collaborations. Farewell Jimmy is a really well put-together short film by an amazing team of film students from AFI. Sang, Alvaro and Vanara are tops in my book. I hope they get the film out on the festival circuit soon! Lots of luck to you all in your careers! Just recently, the Monkeyland crew and I completed audio post production on 12 episodes of comedic webseries, Greetings from Home. I'm not sure where it will air, but I'll post more once I know. It's a good little show and I'm sure it will gain a loyal audience. I am currently working on Project: Blue Book, a film about a particular phenomenon that has occurred for many years in the Appalachian Mountains. I really can't say much about the film or our editorial on it yet, but I encourage you to Google the phenomenon. Spooky! That's about it for now. I hope the rest of the year proves steadily busy for all my audio post friends. Many blessings! You HAVE been busy! Can't wait to see Writers! Googling Project: Blue Book now. Hi Yvette! Thanks for leaving some love! 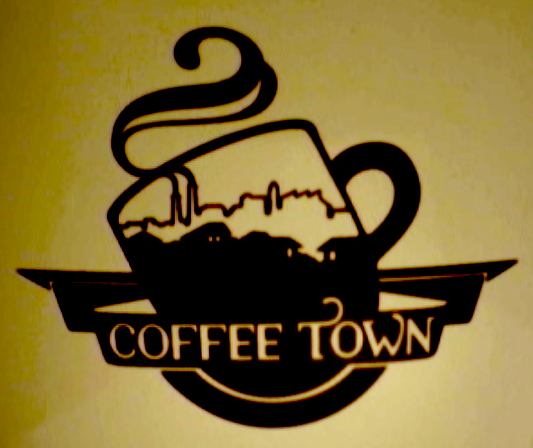 You'll dig Writers and Coffee Town for sure. I'll keep you posted!